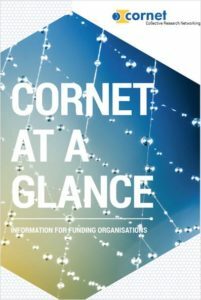 If you are a funding organisation and have heard of CORNET, you will be asking yourself what CORNET is and if it’s worth joining. In the section ‘Join CORNET’ we provide comprehensive information on how to join the network. For tailor-made information or a personal consultation please contact the CORNET Coordination Office. We will be happy to assist you with any questions regarding CORNET.